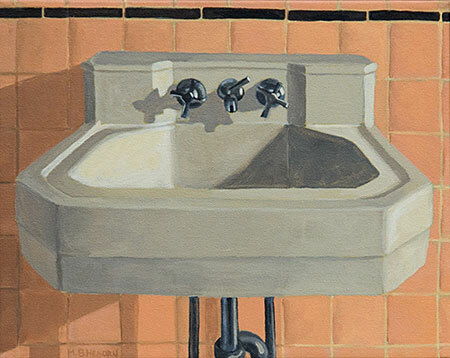 A sink from pink bathroom on the second floor of the Cooper House. In late 2009, I had the opportunity to visit inside the Cooper’s Falls General Store with Mr. Cooper himself. The full story in my book “Once Imagined“.